Is your laptop facing overheating issue? We fix Laptop heating Problems of all laptop brands. Laptop Overheating Repair in Hyderabad and Secunderabad. Computer Heating, MacBook Overheat, Laptop Overheating and shutting down issue fix at best price. Is your laptop facing overheat problems, Visit Our Laptop Service Center in Hyderabad & Secunderabad. 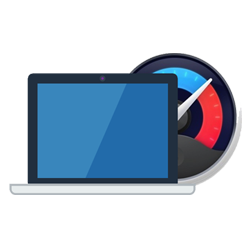 We fix Laptop overheating issues of all laptop brands. Faster Laptop Fan or Heatsink Repair / Replacement. Quick fix for Laptop heating issues. Now it’s easy Laptop Internal CPU Fan dust cleaning and its solves laptop restarting, laptop slow problems, we make it possible with Laptop General Service & improves laptop performance. change your laptop original parts from us any time you want. We can help you troubleshoot all your laptop issues with a thorough check up of your laptop starting with a series of diagnostic flowcharts that will help you identify the issue of overheating. We offer quick and easy access to competitive warranty deals. You do not have to do any paper work, or service request forms nor any negotiations with contractors. We have an easy going service process for self-help and repair of your laptops. We have one of the best service repair store in Hyderabad. We ensure accurate PC configuration and security from first day. Benefit from our hardware and software specific expertise and service support. We provide services in a comfortable, friendly environment for people who need help for their damaged laptops. You do not have to make appointments. If you need urgent help, stop in or visit our store directly.